Everyone knows this famous march from Tchaikovsky's "Nutcracker" ballet! A timeless treasure like this has a place in every young band's library. 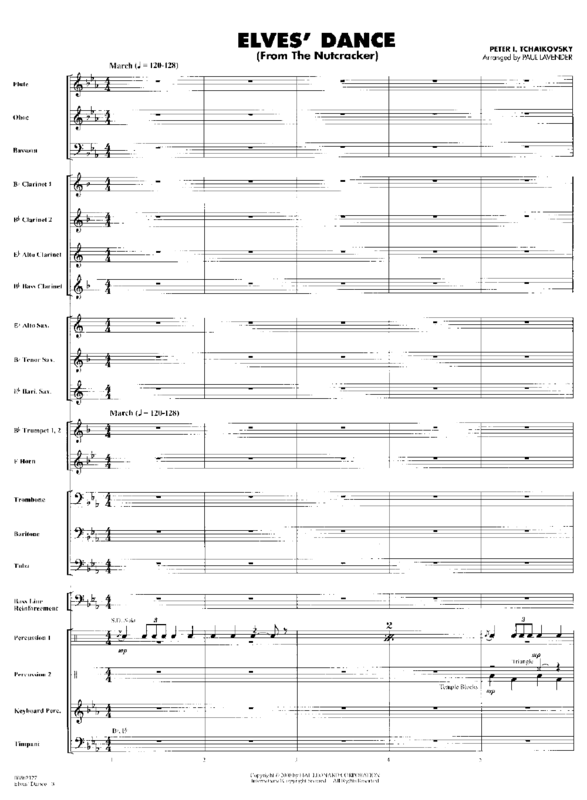 This solidly scored arrangement for younger bands features a delicate opening by the percussion. It's also an excellent medium to reinforce triplet as well as dotted eighth and sixteenth note rhythms. Superb holiday programming!